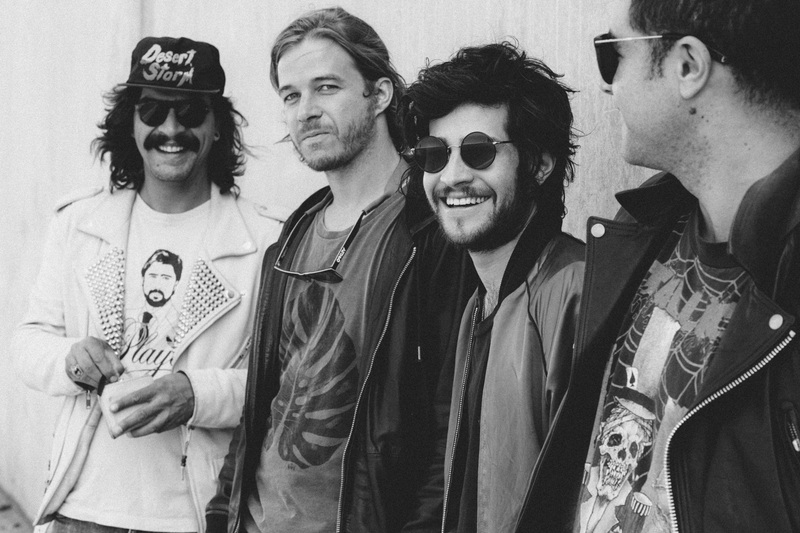 Rey Pila is a Mexican rock band making waves in the US rock scene. After a tour with Brandon Flowers of The Killers, opening for The Strokes tonight at the iconic Capitol Theatre, and headlining a special Cult Records show tomorrow night, Rey Pila is just warming up. With a new album in the works (see below), Rey Pila is a band to keep an eye on in the coming months. Their sound is like a more danceable Strokes-style lo-fi rock, and the band has worked with Strokes frontman Julian Casablancas in the studio. His influence is identifiable, especially on their latest album Future Sugar. Check out our interview below with the originator of Rey Pila, Diego Solórzano, and check them out live on June 1st at Baby’s All Right in Brooklyn when they headline the Cult Records (Casablancas’ label) showcase. WQHS: What 2 or 3 songs (of yours) would you choose to best represent your sound? Diego Solórzano: Mmm… hard to say. I really like “Alexander”, “Fire Away” and “White Night”. I think those 3 songs are a fair representation of the band’s sound. WQHS: What are the biggest differences between your first self-titled album and Future Sugar? DS: Everything changed for album two. I was coming out of a very bad management deal in Mexico and that made me realize that I had to make better choices so I decided to make Rey Pila a band instead of a solo project. That was the most significant difference for me. WQHS: What are the biggest differences between performing in NYC and Mexico? DS: Different towns, different crowds. New York has one of the most important music scenes in the world but I believe Mexico has a very distinct and awesome vibe. The music scene in Mexico is growing and becoming more relevant. I love playing in both cities! WQHS: Do you have any major influences that aren’t other musicians or bands? DS: J.G Ballard, Stanley Kubrick, Aldous Huxley, Francis Bacon… I like books and cinema a lot! WQHS: What’s coming up for you? Are you working on new music or do you have a tour planned? DS: Working on new songs for a new album. Very excited about that! Check out Rey Pila live on June 1st at Baby’s All Right in Brooklyn!